Wolters Kluwer and LegalPlus are now in the third year of their globally renowned summits focusing on international arbitration, competition law and compliance. 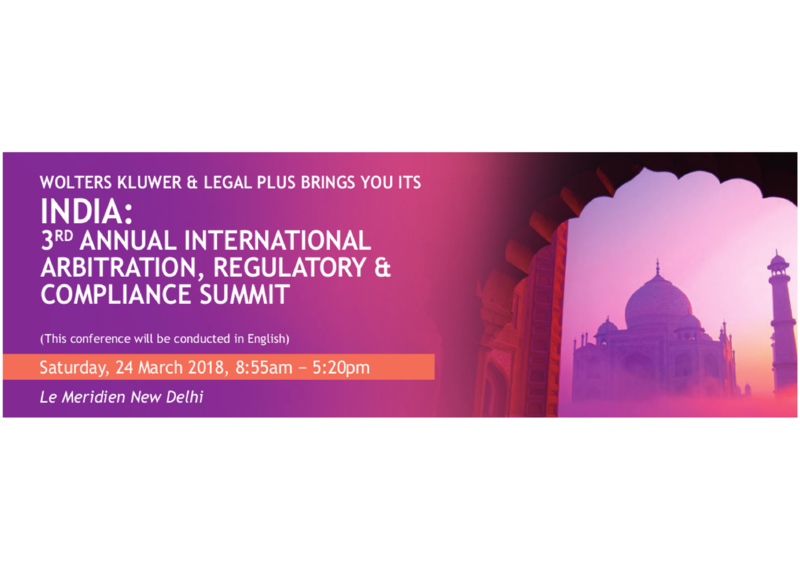 After their successful event in 2017, which was attended by over 80 delegates from across the globe, the 3rd Annual International Arbitration, Regulatory & Compliance Summit is scheduled on 23rd March 2018 at Le Meridien, New Delhi, India. A variety of speakers will share latest updates through interactive sessions. The attendees will not only gain valuable insights from the experts but have a unique opportunity to network with legal professionals from across the globe. The registrations are ongoing and delegates would be entitled to a special discount (Supporting Organisation Rate) for registering through our website. If you are an in-house counsel, you may apply for the complimentary seats, which are limited and based solely on the organiser’s discretion. Previous Is there actually a fifth ‘P’?